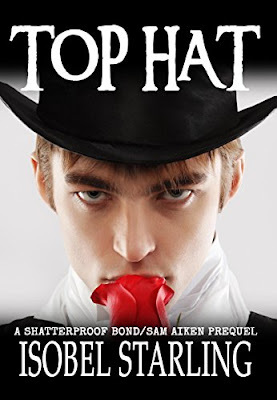 In today's post, we'll look at two books set in the Shatterproof Bond universe, plus a personal story Isobel has chosen to share. There's also another chance to win one of her books! Child protégé Sam Aiken is the youngest student studying Linguistics at Oxford University. Frustratingly, being so young means Sam doesn’t get to enjoy student life in the same way the older students do. 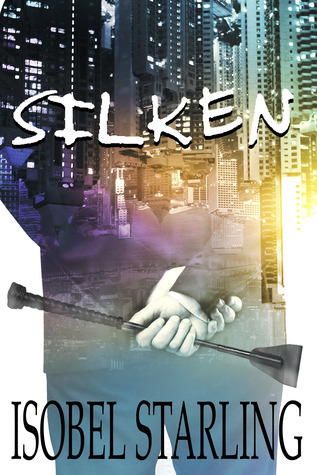 He is obsessed with his studies and close to graduation, but when Sam’s elderly Master, Professor Alfred Moxley dies suddenly, Sam finds the replacement professor brought in to get him and his classmates through their last few months of study, to be more than a little distracting. Dr. Alexander Deveraux becomes Sam's new obsession, and he wants to learn more from the young, brilliant, queer professor than just Linguistics! Also available as an audiobook, narrated by Gary Furlong. When Associate Professor, Dr. Alexander Deveraux strode into the Ramsay Lecture Theatre at the University of Oxford, the air was sucked out of Samuel Aiken’s lungs, and he struggled to catch a breath. Alexander Deveraux moved with effortless grace. Black silky hair fell past his shoulders and framed a long, angular face that displayed more than a hint of androgyny, what with razor sharp cheekbones and well-shaped brows. His sapphire blue eyes were deep set, feline and shrewd, his nose was aquiline, and his lips were thin and held in a studious straight line. Dr. Deveraux was not attired like any Professor Sam had ever seen. His military style coat clung to his tall, thin frame like a glove and made him look more like one of the students than a member of staff. Occasionally the Joker, sixteen-and-a-half-year-old Sam Aiken had a fascination with finding ways to make miserable looking people smile. This mischievous streak appeared to have gotten him into trouble because Sam knew the moment he saw Dr. Deveraux’s blue-eyed gaze, that he was well and truly screwed. Sam recognized the man. To his horror, this man was the cute passenger who’d sat in the opposite seat to Sam on the London Paddington to Oxford train that very morning. Sam had been shamelessly eyeing him up for the whole journey, trying to make his beautiful thin mouth break into a grin. The traveler stayed silent and introverted for the whole journey, listening to music on his iPod, and he never cracked a smile, not even once. And so, on arrival in Oxford, Sam exited the train feeling unimpressed and defeated. Thinking about that morning’s journey made Sam’s blush. He wished he could hide his face in his hands, but no. That would not help. There was no escape from this embarrassing situation. He was overwhelmed at seeing the man from the train again—a man he’d found so intensely mysterious and captivating. Sam’s pulse raced uncontrollably, and all rational thought escaped him. It was going to be a long first day back! The Oxford University terms were split into Michaelmas, from October to December, Hilary, from January to March, and Trinity, from the end of April to Mid-June. Sam had returned to his studies after the Christmas break for his final Hilary term to discover his tutor, Professor Alfred Moxley, had passed away over the holidays. Sam was unaware of the circumstances of his death. Professor Moxley had been a well-spoken, rotund, bookish Irishman in his late sixties, and it was to have been his last year in academia before retirement. Sam had been fond of the old man ever since they’d first met over three years ago. It had been difficult for Sam to adjust to University life at the tender age of fourteen. He’d lost his mother to Cancer, and in the intervening years, his sister Annabelle was to be his only source of any kind of maternal affection and guidance. Professor Alfred Moxley behaved like a father figure during Sam’s years at Oxford—more than his own father had ever done, and so his sudden death cut Sam deeply. The group of students sitting in the Ramsay Lecture Theater was just six months away from graduation, and all of them were majoring in Linguistics. Sam was also studying Arabic as his second subject. The majority of Sam’s classmates were in their early twenties. He was by far the youngest student on their course, and, in fact, the youngest student attending Oxford University. It had been at the University’s discretion as to whether they accepted young protégés as students, but Sam’s father, Sir James Aiken’s healthy financial donations paved the way for his only son to secure a place at the prestigious University College. Sam loved finding out how the world worked, and even as a child he always had his head in a book. His thirst for information gave the impression that he had the attention span of a pigeon, but that wasn’t right. Sam was just very curious and observant—especially when it came to handsome men. Alexander Deveraux was fascinatingly different. Sam was intrigued and sure as hell that he had never been so deeply attracted to another man before. Not that there had been many ‘other men’! And so, as he struggled to breathe and gather his thoughts, Sam watched Dr. Deveraux place his messenger bag on the worn oak lecture table, send a glare to the handful of students scattered around the large hall, and unbutton his black military coat. A lump grew in Sam’s throat as the buttons were slowly undone one—by—one, revealing a smart pale shirt, tie and vest ensemble. And then a lump grew in Sam’s jeans when Dr. Deveraux’s eyes fell upon him, pinned him, and stayed there. One of his online followers pressed all of Matthew's buttons, and a long distance, online Dom/sub relationship develops between them. But when the relationship suddenly moves from online fantasy to real life... can Matthew really submit? A seamless pane of floor to ceiling, heat reflective glass acted as the outer wall of the room, displaying stunning bird's eye views of the British capital. A king–sized bed overloaded with a scatter of designer cushions atop a black silk coverlet dominated the space. To Matthew’s right, a door led to the en-suite, and then, to the left, his eyes fell on the large ebony, lacquer work, chinoiserie style dresser that sat opposite the bed. He ran his finger along the top to check that the cleaner had at least dusted and then placed his phone on the surface. Matthew had chosen to inspect this particular apartment because it was the only one on his list that day where the clients were a couple. He hoped he was not wrong about Veronica Martinez. With a mischievous glint in his eye and a sudden flush of covert guilt, Matthew gave a testing tug on the shiny brass ring handles of the top drawer. It silently slid open. He peeped inside, and his breath caught as he exclaimed a drawn out “Ohhh.” Matthew’s heart swelled. He saw, to his delight, a drawer filled with neatly arranged lingerie. I’ve been a late night radio fan since I was ten years old. I used to steal my mum’s small transistor radio from the kitchen each night and secretly list to Radio Luxembourg under my covers when I should have been sleeping. That statement dates me a lot, I know. Let’s just say it was the early 80s and leave it at that! My love for radio continues, but affections have shifted to audiobooks, and even though I still love radio – particularly comedy on BBC Radio 4, audiobooks have stolen my heart. I mulled over giving it a try and mentioned this to S.J. She encouraged me with DO IT! in my messenger inbox. So, never one to walk away from a challenge I contacted my narrator Gary Furlong, and he immediately said yes. I emailed Beaten Track hoping to schedule something. Then I got an email asking if we could do it the coming Sunday…with just four days notice. It was soon, WAY sooner than I’d anticipated. I thought I’d need more time to mentally prepare myself to do it, but Gary said he was available so, taking the bull by the horns I said yes. Being a writer, or a narrator for that matter, means we spend a lot of time alone with voices in our heads. It’s isolating, and while we connect with the muse, we disconnect with other things that make us human, like having a good natter, for instance. It’s easy to be a keyboard warrior, but reaching out and saying hello as one person to another person is another matter. It can be really hard if you’re out of practice. With my current headspace I feel I need to reach out a bit more, so the moment I plugged into the Beaten Track radio station portal and heard Frederick say ‘Hello,’ and eventually Gary, it was such a delight. Hearing them both chat with me and each other calmed my fears a little. It made me take a reality check and remember times when I’d had to speak in public that were a million times more intimidating than having a natter with a writer host and my narrator. We had so much fun doing the show that we will be back on, so keep an eye on my social media for interview dates. Thanks for joining our celebrations for this fantastic author. 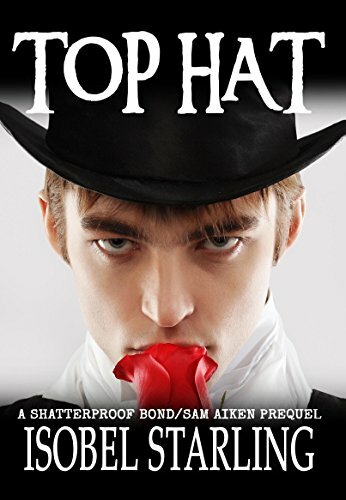 Come back next week for more of Isobel's book, our author interview, and a chance to win a copy of the Shatterproof Bond Art Zine!